Cavebabble turns 100, and to celebrate, we set the controls on our time machine to a century past, the year 1911. We compare life then to ours today, including a focus on two 1911 films which would continue to be remade, The Last of the Mohicans, and The Hunchback of Notre Dame. We also take a look at film stars and directors born in 1911, and introduce a new segment, Cavebabble Theater. This episode is brought to you by The Past is Now. Klaatu barada nikto! 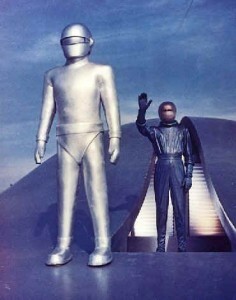 With these words, Gort stands down, and the destruction of Earth is avoided. Not that we didn’t deserve it. Gort is a classic design in a classic film, and has a laser eye which packs quite a punch. In my opinion, one of the most beautiful robots in film history, and the inspiration for many android forms to come (most notably, C-3PO). 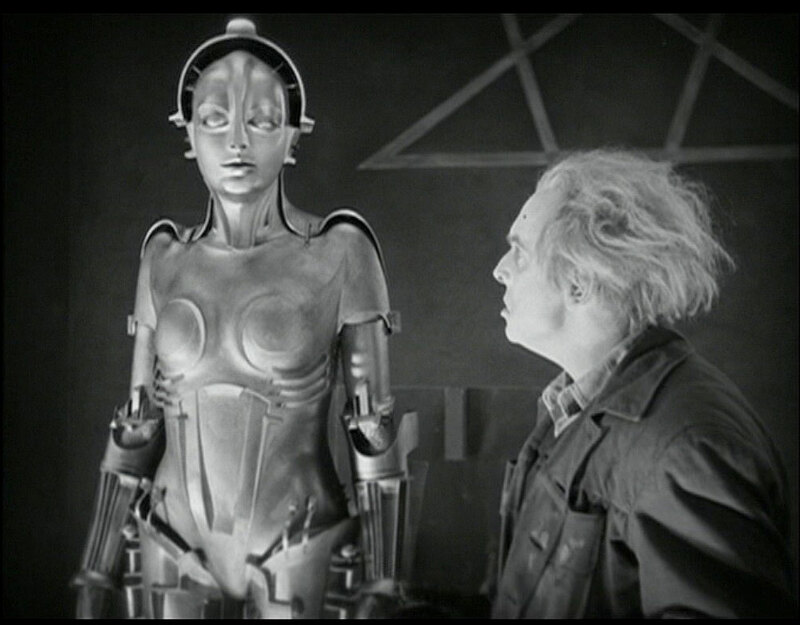 Metropolis is a groundbreaking and amazing film, and the segment featuring this robot is my favorite of the film. It still manages to impress, nearly eighty-four years later. When starting an ode to movie robots, I might as well start with a classic. Robby is instantly recognizable, and has appeared in a variety of forms in film and television productions over the years. 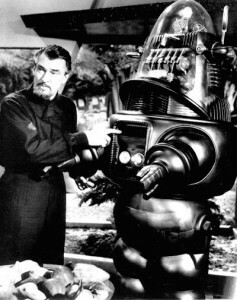 It all began with Forbidden Planet, where his personality and dry humor were among the highlights of the film. Often imitated, Robby is an original. 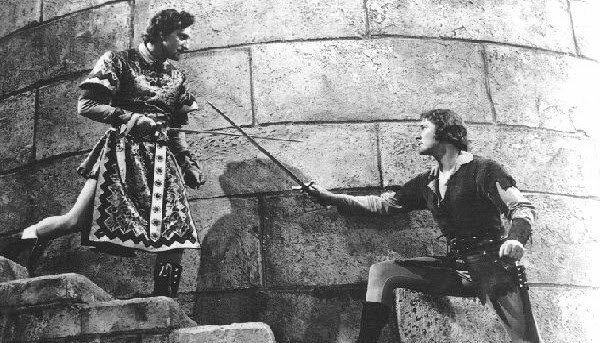 One of the most famous sword fights in film history, and also one of the most copied. Iconic moments include candle slashing and the camera focusing on the shadows of the duelists fighting along a wall.